The Bachelor star Chris Soules got arrested on Monday after a fatal accident. 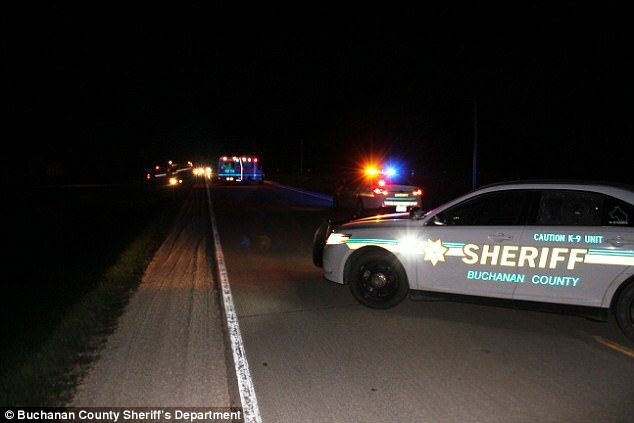 Asper the reports from the Buchanan County Sheriff's Office, Soules, 35, was arrested and charged with “leaving the scene of a fatality motor vehicle accident. "Due to the on-going investigation, further charges may be pending," The source revealed. Soules' attorneys, Sean Spellman and Molly Spellman of West Des Moines, said to just Jared, "Chris Soules was involved in an accident Monday evening (April 24) in a rural part of Iowa near his home. He was devastated to learn that Kenneth Mosher, the other person in the accident, passed away. His thoughts and prayers are with Mr. Mosher’s family." Robert Roepke, whose daughter is married to Mosher's son told People, "I believe it was a very tragic, sad accident that took the life of a guy that was just coming home from work"
"This is corn planting time, the best time of the year for a farmer. Kenny was working on one of the farms just a little north of Aurora and I think he was just coming home. For Chris, what happened was just a freak accident." He further added. As per the reports from TMZ, the reality star was driving a vehicle that rear-ended a tractor-trailer which finally leads the actor killing a person. "The judge put a $10,000 cash bond on him," an official at the jail told Fox News. He posted bond and was released on Tuesday. Soules who has appeared on the 19th season of "The Bachelor" got engaged to Whitney Bischoff on the same show.